My most popular pin on Pinterest this month has been Pumpkin Observations, describing a pumpkin using your five senses, found at 2 Teaching Mommies. 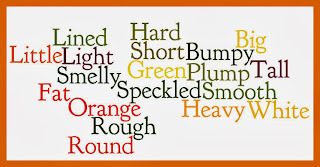 It didn't surprise me to find even more ways to describe pumpkins when I searched the web. Find Pumpkin Anchor Charts and other ways to describe a pumpkin at My First Grade Backpack. Create a Wordle with your describing words at Wordle.net. The First Grade Parade has several great describing ideas. I love that her students describe the pumpkins using similes. Make the pumpkin patch describing activity found at Carrie's Speech Corner. 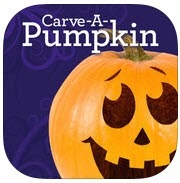 Describe as you Carve-a-Pumpkin from Parents Magazine with this cool app! Conduct a Pumpkin Investigation at A to Z Teacher Stuff. Read Pumpkin, Pumpkin, a story about adjectives to describe pumpkins with symbols and photos at Boardmaker Achieve. Many pumpkin activities, including adjectives to describe the inside and outside of a pumpkin, can be found at Simply Second Grade. Making Grammar Fun! -- Adjective Pumpkins! at A Day in First Grade. 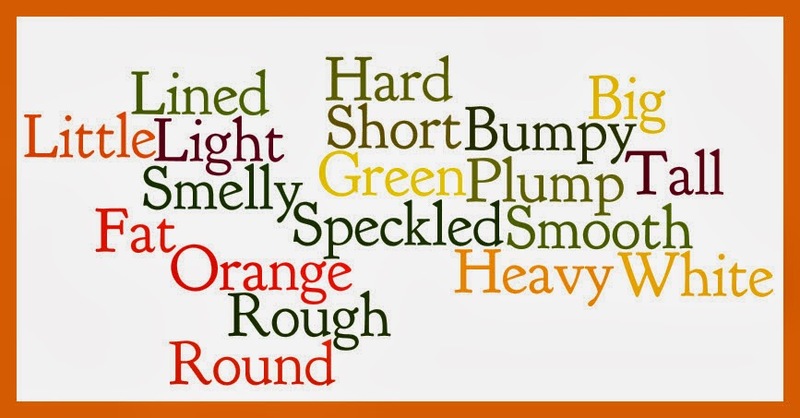 At TpT, there are over 200 describing activities involving pumpkins. Below are three of the more than 25 FREE activities.